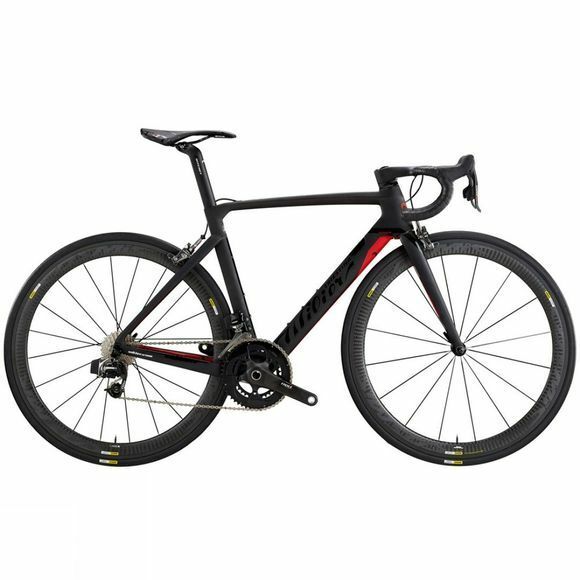 The Brand new Wilier Cento10Air has been designed to revolutionsise aerodynamic bike concepts. Research, study and countless testing has seen new tube profiles following NACA algorithms to create the most efficient bike possible. To achieve such an aerodynamic package Wilier have created the ALABARDA monocoque integrated aero bar, this dramatically reduces frontal drag with integrated cable routing running through the bar and into the downtube. The Front fork has been designed with much wider legs which helps reduce turbulence of the air flowing through the bike and reducing pressure, compared to the Cento1Air the Cento10Air has an 8% improved aerodynamic efficiency. Wilier have used their balanced design system to ensure each frame size from XS to XXL will handle with the same characteristics.